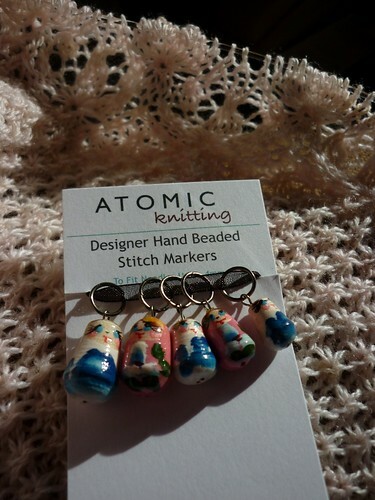 Look at the extremely cute stitch markers I just bought! Aren’t they just adorable? That knitting in the background is the Laminaria shawl. I’ve started the Blossom Chart. The rows now take awhile, so it’s slow going, but oh so worth it.